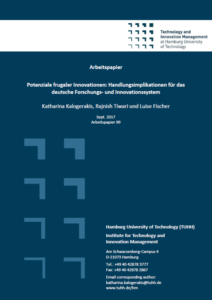 Aditi Ramdorai and Cornelius Herstatt have published a new book titled “Frugal Innovation in Healthcare: How Targeting Low-Income Markets Leads to Disruptive Innovation” (Springer Verlag, ISBN 978-3-319-16335-2). The book is scheduled to arrive in bookshops on May 14, 2015. It has been published in the “India Studies in Business and Economics” series of Springer and is already the second title by CFI team in this series. The first publication was “Aiming Big with Small Cars: Emergence of a Lead Market in India” by Rajnish Tiwari and Cornelius Herstatt, published in 2014. 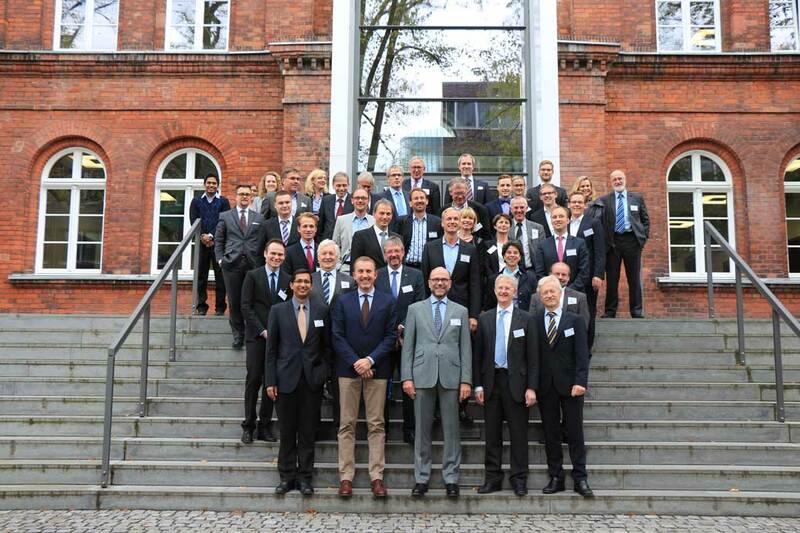 On the 9th and 10th October 2014 a well-received symposium on the topic of frugal innovation was held at the premises of Hamburg University of Technology (TUHH). 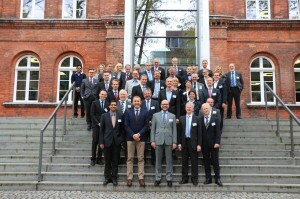 The symposium, carrying the title “Frugal Innovation” und die Internationalisierung der FuE: Hintergründe, Strategien, Fallstudien (English title: “Frugal Innovation and the Internationalization of R&D: Backgrounds, Strategies and Case Studies”) was organized by the Working Group on Innovation Management of the Schmalenbach-Gesellschaft für Betriebswirtschaft e.V. (hereafter SG) in collaboration with the Center for Frugal Innovation (hereafter CFI) of TUHH. The symposium with close to 45 participants from the industry and academia was well-attended and saw some very interesting contributions by invited speakers. The insights generated here through a unique setting of business/academia interaction can potentially push the envelope of research and help expand the currently limited understanding of frugal innovations. A new paper that seeks to generate some preliminary insights on the use of inventive analogies in the process of creating frugal innovations. 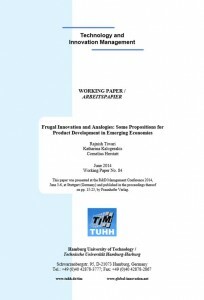 The paper has been authored by Rajnish Tiwari, Katharina Kalogerakis and Cornelius Herstatt and was presented at the recently-held R&D Management Conference (June 3-6, 2014) in Stuttgart.